All the money raised for K.O.I. is used for operations. 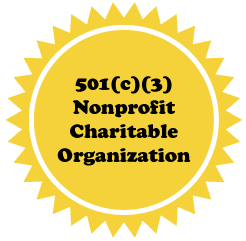 Koi Organisation International, Inc. is organized exclusively for educational and scientific purposes within the meaning of Section 501(c)(3) of the Internal Revenue Code. We are a corporation and we have received non-profit status. Therefore, your donations will be tax-deductable. This is primarily a volunteer organization and all the officers and the overwhelming majority of our core group are volunteers, i.e., they don’t get paid. In fact, many of them donated their own money to provide the seed capital to start K.O.I. But even a non-profit has expenses. There are web expenses, software and mailing expenses, and expenses in stocking the store. A couple of our instructors receive a small stipend for their time, while most just donate it. K.O.I. revenues in excess of expenses is used to further our mission. Starting in 2014, K.O.I., in conjunction with the World Wide Koi Club (WWKC), donated a total of 20 scholarships every year for students to become Certified Koi Keepers (CKK), working towards the goal of having at least one CKK in every state to become the resident local expert for hobbyists seeking help. Everyone here at K.O.I. loves the Koi hobby.